The Perfect Craft CMS Hosting Solution. A2 Hosting is your high powered Craft CMS Hosting provider. 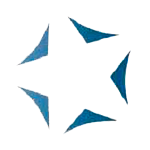 Your Craft CMS install, sites, and all of your files each come hosted on our fine tuned SwiftServer platform. You can even choose our Turbo Servers featuring up to 20X faster page loads compared to competing Craft CMS Hosting providers. Fast Craft CMS Hosting Rich With Features! Need a hand setting up your Craft CMS software? Our friendly and knowledgeable 24/7/365 Guru Crew Support team will be happy to install it for you for free on your account (if you already have your software license). That means you'll be up and running in no time at all! Contact our team if you have any questions! Do you have any questions about our Craft CMS Hosting? Just ask our 24/7/365 Guru Crew Support team! They're available via chat, email and phone. They're the same team that will even install Craft CMS for free on your account upon request. You take time to build your page and its content. You need a Craft CMS Hosting provider you can trust with your site. Trust A2 Hosting where your sites come hosted on our ultra-reliable servers backed by our 99.9% Uptime Commitment. Get started now! You can try us completely risk free with our Anytime Money Back Guarantee. You're going to love our service! 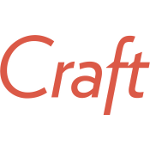 Craft is a content management system loaded with features to help make the lives of web professionals easier. Craft CMS' powerful field type called Matrix is more specifically what will make your life easier. Use the Matrix field to build a number of content blocks within one field. With the Live Preview feature, you'll be able to see what the content you have created with Matrix will actually look like to your audience. Craft CMS allows you to customize your content to your audience's particular language. Want to update your Craft CMS install to get the latest features, security updates and bug fixes? Update your install with just one-click!